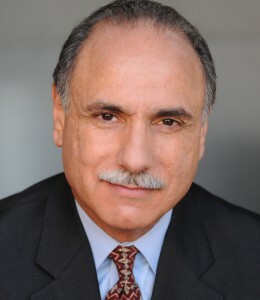 Dr. D’Andrea has used his extensive business background to provide expert testimony and/or consultation in numerous court cases involving real estate valuation, damages calculations, CMBS transactions, loan sales, underwriting, market feasibility, lender/developer disputes, syndication, bankruptcy, and standards of care. 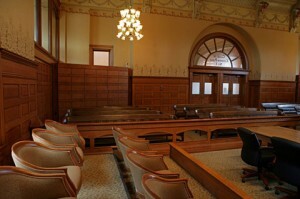 He has substantial experience providing trial and deposition testimony as well as expert reports and declarations. Dr. D’Andrea has been designated as a real estate expert witness in over 20 cases. An expert report, deposition and trial testimony in U.S. District Court on alleged breaches of representations and warranties in a Commercial Mortgage Backed Securities transaction, including those relating to commercial loan underwriting, appraisal and materiality. Client prevailed in this, the first CMBS loan repurchase case to go to trial. An expert report and deposition testimony assessing a Special Servicer’s adherence to the terms of a Pooling and Servicing Agreement in connection with the workout and ultimate resolution of a commercial loan secured by 13 hotel properties. Consultation and mock trial testimony on over 700 alleged breaches of representations and warranties, including those relating to commercial loan underwriting on almost 80 commercial loans in three Commercial Mortgage Backed Securitizations. Consultation on allegations of a lender’s breach of Loan to Value and other commercial loan underwriting representations in various insurance policies relating to claims on over 600 commercial loans. Trial testimony on the standard of care of a real estate broker and market pricing in the sale of a boarding house. Testimony on real estate syndication structures, return on investment and net present value in a proposed venture to indirectly acquire a ground leasehold interest in an R&D office property. Consultation in a matter involving alleged negligence on the part of an accounting firm in the underwriting of six real estate limited partnerships. Performed detailed calculation of after-tax benefits to individual limited partners, retrospectively and prospectively, over a 28-year period. Consultation in a dispute over allocation of units in a REIT initial public offering (IPO). Provided testimony related to the magnitude and allocation of additional units received by key management. Consultation in a matter involving claims of underwriting negligence on the part of a lead insurer by its re-insurers. Evaluated the reasonableness of the underwriting, economic feasibility, and performance of scores of real estate limited partnerships. Expert reports and testimony on the damages sustained by a purchaser of 159 sub-prime residential mortgages as the result of allegedly inflated appraisals. In this case, Dr. D’Andrea also provided opinions on the appraisal function in sub-prime lending and the import of representations and warranties in mortgage loan purchase and sale agreements. Testimony and consultation on damages to homes and homes under construction resulting from an oil well blowout. Consultation on damages sustained by a landlord as the result of a default on a 99-year ground lease for an urban property intended for hotel development. Trial testimony on real estate valuation and damages sustained by a would-be buyer due to the premature sale of a primary residence. Declaration on the damages sustained by a senior executive, relating primarily to compensation for arranging refinancing of a real estate holding company. Testimony on damages resulting from an alleged breach of the terms of an industrial lease. Consultation in a lender/developer dispute over the foreclosure of three office/retail projects in San Francisco and Oakland. Performed complex damages analysis based upon the present value of cash flows from the properties and a development company. Consultation in a matter involving a breach of contract for the purchase of a large golf/residential development site. Provided complex damages calculation including projections of golf course profits and residential lot subdivision analysis. Consultation in a breach of contract dispute over a joint venture agreement for a “dot.com” office redevelopment project. Determined the damages sustained by the would-be partner in the project given the proposed transaction structure and a lucrative lease for most of the project. Consultation in a matter involving a default on a long-term lease supporting the development of 1,000 housing units. Assisted in the rebuttal analysis of opposing expert’s damages calculation. Consultation and testimony on economic damages in a dispute between the U.S. Bureau of Indian Affairs (BIF) and a Northwest Indian tribe claiming that the BIF had mismanaged a timber sale to the detriment of the tribe.